ICONS OF HORROR COLLECTION: HAMMER FILMS (three votes). Another year, another ton of DVDs to process: an impossible job, as always, and a job now further complicated by Blu-ray editions. This process being driven primarily by whatever we're most attracted to watch, and what we have time to watch, there is inevitably a huge number of worthy releases that fell through the cracks. For example: Fox's mouth-watering MURNAU AND BORZAGE AT FOX set, which I frankly can't afford and which Fox was able to send us only in the form of a few sample discs. It looks fantastic, and is surely worth mentioning if only for offering both the silent and talkie versions of Murnau's SUNRISE. This year, in order to keep things more focused and semi-concise, I have asked our contributors to select only their Top 5 picks, with domestic and import titles fair game. The results still offer variety and were able to zone in on one specific favorite title, even though the honored title was still chosen by fewer than half of our participants. We start with the editors, then move on to our contributors. Thanks to everyone for participating! THE GARDEN OF EARTHLY DELIGHTS (Kino on Video): The most moving, stimulating film experience I've had this year, probably this decade, and it would be my top pick even if this list wasn't alphabetical -- proving that, sometimes, a film alone is enough to qualify. Shot entirely by camcorder, Lech Majewski's masterwork shows what is possible within the limitations of hand-held cinema if the story is approached with sufficient density and imagination. 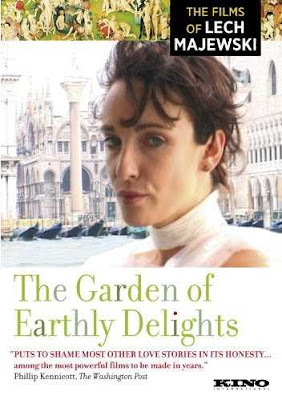 It's a magical, chronologically skewed love story involving a terminally ill art historian and a naval engineer, who take an apartment in Venice and set about spending their remaining months, weeks or days making a film about Hieronymous Bosch's eponymous masterpiece. In the process of doing so, they blur the lines between art and reality and life and death, bringing the painting's details to life while inadvertently documenting their own desperate searches for truth in the face of inevitable tragedy. Rarely has a film taken its audience into such unflinchingly intimate contact with its characters, their hopes and fears, their spirit and dreams, their intimacy. You can read my full SIGHT & SOUND review here. GEORGES MÉLIES: FIRST WIZARD OF CINEMA 1896-1913 (Flicker Alley): Anyone who fancies himself a devotée of fantastic cinema needs to be better acquainted with the work of its father. While this revelatory compilation is not a complete set of Méliès' surviving films, it's as close as we're likely to see anytime soon. There is enough here, though, to offer a more rounded view of his achievement than can be derived from sets that focus only on his fantasy-themed shorts, which deny him larger recognition as the father of the docu-drama, as well. The set also includes Georges Franju's exquisite short film LE GRAND MÉLIES in excellent quality. HOUDINI THE MOVIE STAR (Kino on Video): I'm not sure that Harry Houdini could have acted his way out of a paper bag, but you can't take your eyes off him, which makes the collection of all the surviving footage from his dramatic screen career an important testament to his magnetism. The set is just as valuable as a collection of screen work by scenarist Arthur B. Reeve, the author-inventor of fictional science detective Prof. Craig Kennedy, without whom pop culture might not have given us Doc Savage or The Batman. ICONS OF HORROR: HAMMER FILMS (Sony): This set is of tremendous importance for releasing, for the first time ever in America, the uncut version of THE TWO FACES OF DR. JEKYLL, which (aside from a signal failure on the part of makeup artist Roy Ashton) is now more clearly evident as one of Terence Fisher's finest, most original and transgressive horror retreads. This counts as the genre's most important restoration of the year. Also included are Fisher's THE GORGON, one of his most memorable atmospheric pieces; Seth Holt's SCREAM OF FEAR, an effective mystery thriller with Susan Strasberg and Christopher Lee; and Michael Carreras' THE CURSE OF THE MUMMY'S TOMB, available for viewing in widescreen for the first time since its 1965 theatrical release. KEN RUSSELL AT THE BBC (BBC America): It was one of the year's greatest disappointments when this box set of Ken Russell's BBC work arrived minus the long-unavailable DANCE OF THE SEVEN VEILS originally touted as part of the package. However, disappointment doesn't alter the fact that Russell used this period of filmmaking to forge one of the most brilliant directorial styles ever to come out of British cinema. And a must for admirers of Oliver Reed. Other Highlights: Masters of Cinema's UK import of Georges Franju's JUDEX and NUITS ROUGE (aka SHADOWMAN); Freddie Francis' terror masterpiece THE SKULL (Legend Films), available for viewing in full scope for the first time in over 40 years; the definitive issue of Jess Franco's mesmerizing EUGENIE DE SADE (Blue Underground); SWEDEN HEAVEN AND HELL (Klubb Super8), a mondo film you can dream on; VAMPYR (Criterion and Masters of Cinema import), two stellar presentations of Dreyer's classic with unique extras exclusive to each, including an audio commentary on the import by Guillermo del Toro; HOW THE WEST WAS WON (Warner), mostly for its outstanding supplemental documentary CINERAMA ADVENTURE; and NIGHT GALLERY - SEASON TWO (Universal), the long-awaited DVD completion of Rod Serling's series, including several of the program's best episodes ("Cool Air", "Pickman's Model", "The Sins of the Fathers", "The Caterpillar") and three commentary tracks by the busiest man in show business, Guillermo del Toro. 2008 found me largely forgoing New Releases in order to get caught up on the backlog of formerly New Releases still residing in their now dust-covered shrink wrap-up on my over crowded shelves. I did get around to seeing a few titles and the following ones (listed alphabetically) were especially notable. 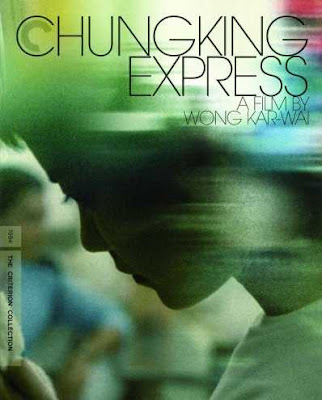 CHUNGKING EXPRESS (Criterion): Wong Kar-wai's exquisite international cult favorite finally arrives in a Region 1 special edition that features video (the intended 1.66:1 ratio) and audio (an invigorating new 5.1 remix) approval from Wong and co-cinematographer Christopher Doyle. A fine presentation is enhanced by a consistently interesting and valuable Tony Rayns commentary. HELLBOY II: THE GOLDEN ARMY (Universal): More imaginative and entertaining (not to mention, far less oppressive) than THE DARK KNIGHT, Guillermo Del Toro's follow-up equals his original's imagination and visual poetry, while also delivering some surprisingly stark PG-13 horror (watch out for The Tooth Fairies!) A very impressive transfer and extras make the 3 disc Special Edition the way to go. HEROES TWO (Media Blasters): The first release from Media Blasters' Shaw Brothers package offers a beautiful rendition of Chang Cheh's martial arts perennial, but is also a bittersweet offering that represented the final work of the incredibly knowledgeable and generous martial arts scholar Linn Haynes, who delivers an excellent audio commentary. RODAN/WAR OF THE GARGANTUAS (Classic Media): The presentations are uneven (the English dub of RODAN looks pretty shopworn and the original Japanese version of GARGANTUAS is too dark), but either one of these kaiju eiga classics would have been worth buying on its own, so this double feature (well, quadruple feature, as you get both versions) release is irresistible. Classy packaging and a good documentary on the history of special FX in Japanese monster movies make the offering even more unbeatable. SUPERMAN REDEEMED (No official release): The prevalence of sophisticated editing tools like Final Cut Pro is resulting in some surprising slick and sophisticated amateur productions. In addition to these are a series of Fan Edits that seek to reshape disappointing professional movies into something more palatable. The resulting revamps vary in quality, but the anonymously created SUPERMAN REDEEMED is a clever and accomplished blending of scenes and storylines from SUPERMAN III and SUPERMAN IV: THE QUEST FOR PEACE (with a pair of sequences from both the Richard Donner and Richard Lester versions of SUPERMAN II used for bridging) into a new, standalone film that is more satisfying than either one of them, and suffers from fewer continuity hiccups than seen in SUPERMAN II: THE RICHARD DONNER CUT. Not officially available on DVD (or officially sanctioned at all, for that matter), SUPERMAN REDEEMED can be downloaded from various torrent sites and is an unexpected treat for fans of the Christopher Reeve Man of Steel series. 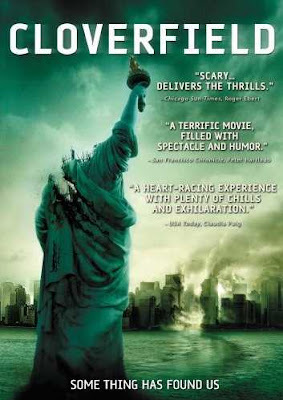 CLOVERFIELD (Paramount): This 9/11 elegy functions as the best Godzilla movie ever and the saddest, from the POV of the stomped-upon instead of those saving the world. It's also another in the trend of American Failure stories that explode the myth of the self-sufficient hero--see also GRIZZLY MAN, NO COUNTRY FOR OLD MEN, INTO THE WILD, IN THE VALLEY OF ELAH, etc. SWEENEY TODD (Paramount): 2007's best horror movie. Cannibal pics (with or without zombies) are always some kind of statement about "consumer society." This movie is frank about it, and we can take the rhetoric and the gloom because it's all so paradoxically artificial and lovely, from the voices to the gouts of blood. Tonally, it's the dour flip side to BIG FISH, the other contender for Tim Burton's best film. The DVD has good docs and spares us a Burton commentary, all good choices. INNOCENCE (Homevision): Lucile Hadzihalilovic's fable of uncertain time and unfathomable place: a boarding school deep in a forest. Girls arrive in coffins and learn certain skills before going forth into the world's mysteries. Idyllic and lovely, harsh and dreadful, metaphorical and concrete, it's told almost completely and calmly from the girls' point of view. DEXTER: THE COMPLETE SECOND SEASON (Showtime/Paramount): More suspenseful and disturbing than Season One and deeper in its revelations and ambiguities. With boxes of new TV like this, HEROES, PUSHING DAISIES, MAD MEN etc. on top of old shows like THE UNTOUCHABLES, ROUTE 66, HONEY WEST, M SQUAD etc. to catch up on, I propose a moratorium on new releases for five years. MICHAEL CLAYTON (Warner): Not the kind of socially earnest statement I dread from George Clooney. Suffused with the immanence of an alternate reality and edited with lovely indirectness, this is almost a subtle work of fantasy, a dangerous fairy tale complete with doppelgangers. Every scene combines classical clarity with modernist ambiguity. Tilda Swinton radiates desperation as she tries to swim in a sea of powerful men. Omitted from this list at great pain: GEORGES MELIES: FIRST WIZARD OF CINEMA (1986-1913), on the cop-out that I haven't finished watching it), BRAND UPON THE BRAIN, THE SAVAGES, THERE WILL BE BLOOD, PHASE IV, NORIKO'S DINNER TABLE, and THE DIVING BELL AND THE BUTTERFLY. 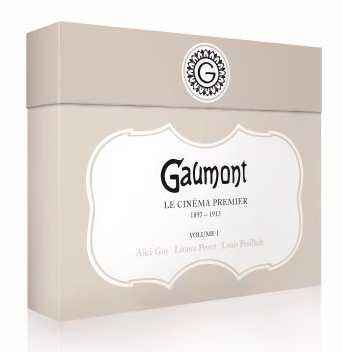 GAUMONT, LE CINEMA PREMIER (Paramount, France): A seven-disc set, attractively packaged in a file box, of early French cinema. Two discs offer eleven Feuillade shorts made between 1907 and 1913, ranging from staged tableaux of social realism to surreal comedy (BOUT DE ZAN VOLE UN ELEPHANT). Three contain the work of Léonce Perret, including two full-length melodramas with strikingly naturalistic performances, L'ENFANT DE PARIS and LE ROMAN DE MOUSSE (which ends as possibly the cinema’s first courtroom drama). Two represent the early career of Alice Guy, the first female film director, who proves to have made great silent comedies: try LA COURSE A LA SAUCISSE, a four-minute chase that becomes increasingly surreal, and the 1907 LE BILLET DE BANQUE, which in eleven minutes manages to prefigure Chaplin’s tramp, Hulot’s dogs, Renoir’s Boudu and even (in the moment when the tramp finds a rosary in his pocket and chucks it on the floor) Buñuel, as well as being genuinely hilarious. A trove for film historians, often a lot of fun, not infrequently beautiful. THIS SPORTING LIFE (Criterion): A splendid restoration of Lindsay Anderson’s first masterpiece, one of the few real films to emerge from the British new wave of the period. It can be mistaken for mere social realism, but it’s far more than that – its scenes of passion have a terrifying intensity, and its structure recalls Resnais without aping him. It makes me mourn all over again the lost opportunity of Anderson’s WUTHERING HEIGHTS with Richard Harris. The two-disc set also contains (along with much else) two of his early documentaries and his dispirited final filmic statement, Is That All There Is? Which epic from the Miriam collection? Much as I love EL CID, I’m even fonder of THE FALL OF THE ROMAN EMPIRE, and the Miriam restoration is the kind of treatment it deserves. Have the colours been boosted a little? I much prefer how it looks here to the appearance of the 70mm print that turned up in Britain last year, faded to amber (appropriately elegiac, maybe, but that kind of inadvertency can pall). Even without the copious extras on the two-disc set (or three-disc, if you can find it), this would be an essential edition of Anthony Mann’s great late film. I’ve chosen a western, though that immediately makes me wish I had room for the excellent Boetticher box. However, the restoration of Raoul Walsh’s THE BIG TRAIL is extraordinary – a 1930 widescreen epic in semi-documentary style with vistas as awesome as anything in Ford or Anthony Mann. That the camera hardly ever moves only adds to the film’s power. The two-disc Region 1 set from Fox includes the reshot Academy ratio version, a fascinating comparison in itself. Leo McCarey’s legendary 1937 box-office disaster MAKE WAY FOR TOMORROW (rumoured at the time to have driven members of the audience to suicide) is at last available from BAC Video in France as PLACE AUX JEUNES. It may well be the director’s greatest film; it’s certainly his most moving (as much so in its own way as TOKYO STORY, which is a partial remake). The French subtitles are irremovable, but don’t let them put you off. The film is available as a single Region 2 disc or as part of the set HOLLYWOOD CLASSICS: LEO McCAREY, which also includes SIX OF A KIND, BELLE OF THE NINETIES and RUGGLE OF RED GAP. 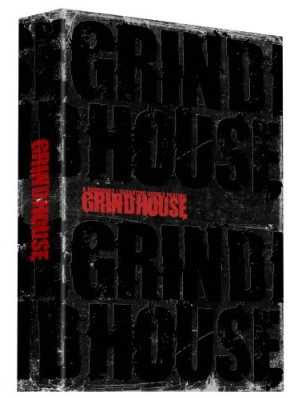 GRINDHOUSE (Japanese import box set): The long-supressed (in America) theatrical cut, both extended features, all of the American supplements and a handful of exclusive Japanese extras? Okay--color me satisfied. GRINDHOUSE (Japanese import box set) The long-supressed (in America) theatrical cut, both extended features, all of the American supplements and a handful of exclusive Japanese extras? Okay--color me satisfied. ICONS OF ADVENTURE/ICONS OF HORROR (Sony): A Hammer bumper crop is always cause for celebration, and it's nice to see such potentially "troublesome" titles as THE STRANGLERS OF BOMBAY and THE TERROR OF THE TONGS slip through, but it's the original British cut of THE TWO FACES OF DR. JEKYLL that would have landed on this list with or without the accompanying features. And while there's more to it than that, let me say it for the record: "DAMN you, Jekyll!!!!" STANLEY (BCI): Certainly not one of the "best" titles available this or any year, but unquestionably one of the most significant jobs of restoration performed in 2008. Over 15m of extra footage does, indeed, make William Grefe's "respect nature or die" snake thriller a stronger film... and simultaneously reveals it to be a work of contemptible hypocrisy from filmmakers every bit as bad as the fictional snake-bashers earmarked for lethal revenge in their work. Get 'em, Stanley! Honorable mentions: DIARY OF THE DEAD (Dimension Extreme), THE BLUE EYES OF THE BROKEN DOLL and HUMAN BEASTS (BCI), RODAN/WAR OF THE GARGANTUAS (Classic Media). 1. ZODIAC 2-DISC DIRECTOR’S CUT (Paramount): An outstanding presentation of David Fincher’s absorbing investigation into the true story of California’s Zodiac Killer. Kudos to the filmmakers for including extensive documentaries that open the main feature’s take on events up to question. See my review in VW 139 for more detail. 2. DOCTOR WHO: THE COMPLETE FOURTH SERIES (BBC Video/2 Entertain): 13 episodes, including more gems from the pen of Steven Moffat (who wrote the best episodes from previous seasons, among them “The Girl in the Fireplace” and “Blink"), a 70m special placing The Doctor (David Tennant) on the Titanic, an 8m short teaming Tennant with the Fifth Doctor (Peter Davison), and over 4 hours of special features… I haven’t had time to take it all in yet, but the new DOCTOR WHO consistently delivers the goods. 3. A PISTOL FOR RINGO (Eine Pistole für Ringo, KOCH Media, PAL R2): Ducio Tessari’s outstanding 1965 Euro-Western, released in an anamorphic transfer for the first time, making up for the compromised and expensive Japanese release and the more recent (but still non-anamorphic) Thai release. English and Italian soundtracks are included in addition to the German track, but there are no English subs, unfortunately. The lack of English subs does render the extras of limited value to monolingual English speakers, but, still, this is an attractive release of an undeservedly obscure movie that makes for great holiday viewing (it takes place at Christmas). Available from http://www.amazon.de/. 4. THE LAST WINTER (IFC): Graced with a much higher budget than his earlier trilogy of revisionist horror, it should come as no surprise that THE LAST WINTER is the most expansive of Larry Fessenden’s movies, as well as a distillation and summation of his prior work. Like NO TELLING, HABIT and WENDIGO, THE LAST WINTER serves up melancholy horror, but this time it’s melancholy on a planetary level. Following a Toronto screening of HABIT, Fessenden stated that, in an ideal world, the audience wouldn’t know what kind of a movie they were about to watch, and would get drawn in by the drama before being blindsided by the fantastic. Of course, that’s not how the marketplace works, and Fessenden’s restrained, low-key approach to the horror genre can leave some fans feeling frustrated. For those on Fessenden’s wavelength, however, his “arthouse horror films” often resonate in ways that typical scary movies just don’t. Fessenden sees horror films as an attempt at “accepting death [and] coming to terms with our limitations.” It’s impossible to watch THE LAST WINTER without comparing it to John Carpenter’s THE THING (1982); the biggest difference is that, this time, instead of an alien threat coming to our planet, it’s the planet itself that has turned against humanity. Fessenden is much more concerned with messages than Carpenter is, and while his movie does not come close to providing the horror or thrills that THE THING does, THE LAST WINTER has its own, different strengths, among them a genuine emotional dimension, mounting dread, and a poignant and moving climax. A worthy release of the latest feature from one of the most original and interesting voices working in the horror genre today. 5. JACK BROOKS: MONSTER SLAYER (Anchor Bay): Okay, I might be a bit biased, as my good friend David Scott (and my partner on ALL THAT IS HIDDEN) provided the special makeup effects for this, the debut feature from Jon Knautz… but from any viewpoint, this is a well-executed and extras-packed presentation of a fun movie that brings back the days when monsters were real (i.e. actors in suits) and genre filmmakers wanted to scare and amuse us, not just disturb us. If you haven’t seen this likeable throwback, check it out. As a DVD experience, its far more satisfying than long-awaited but barebones 2008 releases like LOST HIGHWAY, NAVAJO JOE and PHASE IV, so it earns its place on my list on that basis too. 1. 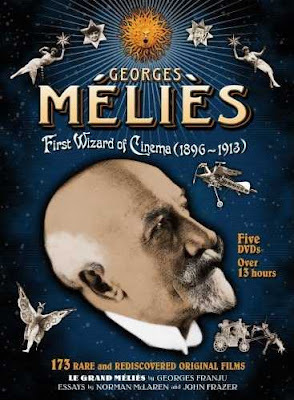 I would be hard pressed to imagine any more momentous or worthy DVD release than Flicker Alley's GEORGES MELIES: FIRST WIZARD OF CINEMA set. The majority of DVDs present home-use editions of movies recently seen in theaters, or upgrades of home-use versions of classic and catalog titles. From time to time, specialist labels unearth long-lost treasures making their DVD debut, but many of these are more curious or collector's pieces than truly essential products. But here, oh my, here we have a massive collection of films that are all at once fun, enchanting, inspirational, immeasurably influential, and the vast majority of which have not been available to the public for nearly a hundred years. It doesn't get any more essential than this. 2. THREE'S A CROWD/THE CHASER from Kino. There is something vaguely unseemly about listing a DVD I worked on, but notice I selected Kino's competing Harry Langdon set, not my own collection (which actually came out in 2007 and so wouldn't qualify anyway)--I have no personal vested interest in this thing any more and I can honestly say that even if you never listen to, or vehemently despise, my commentary track, you need this DVD. Harry Langdon was an avant-garde comedian, a minimalist artist, a pioneer of abstract impressionism--the silent comedy equivalent of Samuel Becket. THREE'S A CROWD is a comedy that isn't funny, a masterpiece that was so reviled it destroyed his career, and has been widely maligned as a terribly made film. But that's all either untrue or beside the point--it is a brilliantly stinging tragedy that in my opinion takes Charlie Chaplin's THE KID out back and beats it to a bloody pulp. Do you like Claude Chabrol? Kiyoshi Kurosawa? Well, here's their slapstick equivalent. The DVD was mastered in HD and looks amazing--and the version of THE CHASER that accompanies it was reconstructed for this DVD thanks to the valiant assistance of several unsung Langdon fans who were not prepared to let his last surviving silent feature remain mangled and incomplete. This is film historical heroism at its best. 3. JUDEX/SHADOWMAN from Masters of Cinema, fast becoming my favorite DVD label. Both of these pulp thriller classics from Georges Franju were previously only available as DVD-Rs from the usual haunts, consigned to lower class status in the world of mid-century French New Wave films. American critics have never been very comfortable with the New Wave's love of pulp--preferring to prioritize the more conventionally dramatic work from the stuff like this that betrays its love of B-movies and comic books. Now you can compare Feuillade's original JUDEX serial to its swingin' sixties remake--and who doesn't want to do that? 4. When I first saw JEKYLL sitting on the new release shelf at my local Borders, my first reaction was, "the world doesn't need yet another adaptation of Jekyll and Hyde." But then I saw Steven Moffat's name on the thing, and my curiosity was piqued. If one of the most deservedly lauded screenwriters in England thinks he has something new to bring to this hoary old idea, then he deserves the benefit of the doubt. I intended to watch the 6 episode mini-series over 6 nights, but halfway through I was so hooked I had no option but to gun it through and watch the last three hours in succession. If there's any criticism to bear on this extraordinary achievement it is that there are too many good ideas, and some of them remain underdeveloped as a result. But as flaws go, I'd always prefer too many ideas to too few. 5. THE PRISONER 40th Anniversary set from Network is one of those "upgrades" I mentioned above, but for the Best Television Show Ever, what are ya gonna do? It's too bad the A&E editions didn't show this degree of curatorship and quality, but it may have taken the success of previous editions to prove to the producers at Network that there was a strong enough market to support and reward the investment in this gorgeous upgrade. As usual, many of what I suspect will be the DVDs of 2008 are in my to-be-watched pile and still shrink-wrapped – but here are some random recommendations of things that came out this year, or which I got round to watching. 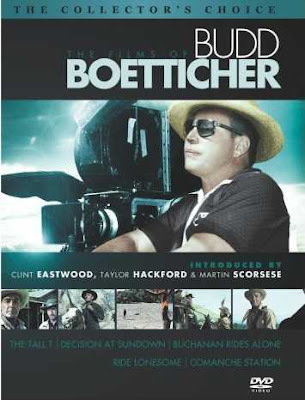 THE COLLECTOR'S CHOICE: THE FILMS OF BUDD BOETTICHER (Sony): Following up the excellent standalone edition of SEVEN MEN FROM NOW, here are all the other Boetticher-Randolph Scott westerns (THE TALL T, DECISION AT SUNDOWN, BUCHANAN RIDES ALONE, RIDE LONSESOME, COMANCHE STATION), plus a documentary, celebrity intros, etc. Endlessly rewatchable films in optimal editions. THE OWL SERVICE (Network UK import): I contributed an essay to the liner notes of the R2 Network release of this 1969 TV serial, adapted from the novel by Alan Garner. Three teenagers – notably Gillian Hills (BEAT GIRL, BLOW UP, DEMONS OF THE MIND) in her greatest role – discover mysteriously decorated crockery in the attic of a remote house in Wales, and are caught up in the cyclical re-enactment of an ancient, tragic legend. Ostensibly for kids, this does many startling things adult drama would be afraid of these days. I listed this last year as a bootleg, but the official release is splendid. GET SMART (HBO): I have the nicely-packaged R1 box set of all five seasons, but various R1 and R2 single season releases are around or coming. In viewing, I’m near the end of Season Three, when the show is slipping slightly – but the earlier episodes hold up remarkably well, not so much for the snappy satire (a commentator in Sight & Sound said Get Smart gave a better sense of how the CIA conducted its business than THE GOOD SHEPHERD) and clever gadgetry but the endlessly funny central relationships, as the blithe, confident idiot Max (Don Adams) is taken to be a superspy genius by everyone, including his more competent but loveblind partner 99 (Barbara Feldon), except his eternally frustrated, driven-to-the-edge-of-insanity Chief (Ed Platt). THE KING OF KONG: A FISTFUL OF QUARTERS (New Line): This was among my favourite films of last year on the strength of its theatrical showing, and the disc does an admirable job of contextualising the documentary – it has especially strong commentary tracks, one by the filmmakers on how they found and shaped the material and one by experts who offer real insights into the odd, obscurantist world of retro computer gaming. I’ve written more about the film online here. 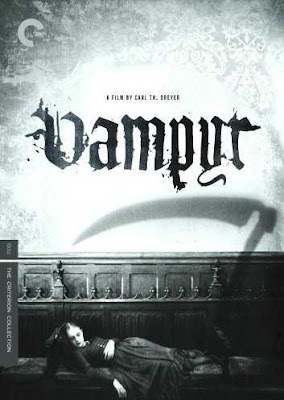 VAMPYR (Criterion): I'm sure I'm not alone in nominating this for one of the best - if not the best - DVD release/rescue of 2008. The supplements are wonderful in their own right and certainly welcome and Criterion's packaging is exemplary but it's the feature itself that continues to impress, especially now that it's been freed from the company of elephantine subtitles that in previous prints ate up half the picture. Skip a couple of meals and pick this up... it's good enough to eat. PHASE IV (Legend Films): How wonderful to have this 70s rarity - the only feature film ever directed by main title creator Saul Bass - available on DVD and a good-looking one, too. Me Generation sci-fi ponderousness at its best! RODAN/WAR OF THE GARGANTUAS (Classic Media): I never would have packaged these two daikaiju eiga together but I'm glad somebody did... and who better than Toho? Answer: nobody. RICCO THE MEAN MACHINE (Dark Sky Films): It's so great to have this particularly nasty piece of Euro-sleaze available (especially after such a long delay due to legal wrangling), complete, uncut and gin clear in all its acid-washed glory. If you're been able to watch Manny Zarzo castrated on a 52" flatscreen... a drink to you, sir. NIGHT OF THE LIVING DEAD (Dimension): Happy 40th birthday, NOTLD, and what a gorgeous, sharp transfer to mark the occasion. We all grew up with this classic looking like a kinescope on any number of late, late show broadcasts and public domain video tapes; if you haven't revisited this in optimum condition, you may well see it as if for the first time. Toss all previous editions onto the fire. 1. FIST OF LEGEND (Weinstein Company): Thanks to the Weinstein Company, a lot of kung fu cinema wrongs have been righted with the continuation of their outstanding Dragon Dynasty series. Last year’s KING BOXER (Tian Xia Di Yi Quan) was a joy to behold in comparison with my wretched old public domain copy (under the title FIVE FINGERS OF DEATH). Earlier this year THE TAI-CHI MASTER (Tai ji: Zhang San Feng) finally got the treatment it deserved, thereby condemning the old Dimension Home Video version (retitled TWIN WARRIORS) to the scrap pile. Perhaps the most impressive Dragon Dynasty release to date is the Jet Li classic FIST OF LEGEND, an exciting remake of the Bruce Lee vehicle THE CHINESE CONNECTION (Jing Wu Men). 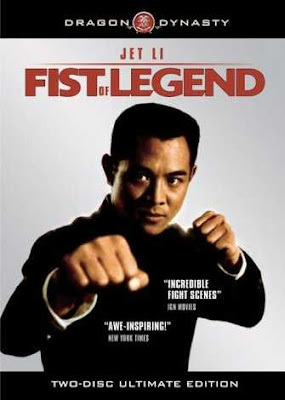 Unlike the anemic Buena Vista Home Entertainment disc from 2000, this robust two-disc rendition of FIST OF LEGEND boasts over three hours of supplemental material and, most important, features a digitally re-mastered, anamorphic widescreen interpretation of the film in original Cantonese with English subtitles. Watching Li tear through opposition in the film’s opening fight sequence tells you everything you need to know about his fighting style, which has never been on display any better than in this Gordon Chan film, with imaginative martial arts chorography by the great Yuen Woo Ping. 2. THEM (Dark Sky Films): As much as I enjoyed THE STRANGERS, the exceptionally scary American takeoff of this taut French horror film, somehow THEM left more of a lasting impact on me; those unexplained noises than emanate from my downstairs periodically are now cause for investigation. So riveting is the film’s home invasion component that the dénouement cannot quite measure up to it, but I never felt cheated—not sure if I ever have felt that way following a modern movie experience that failed to reach eighty minutes. Fortunately this DVD is augmented with a collection of featurettes that are worth investing some time in. Skillfully photographed and edited, THEM is one of the most accomplished exercises in suspense to be released on DVD this past year. 3. ICONS OF HORROR: HAMMER FILMS (Sony): This addition to Sony’s Icons of Horror Collection offers tremendous value at its $24.96 SRP, but at the moment the savvy internet shopper can give it a home for well under $20. Hell, I would have paid $20 just for THE TWO FACES OF DR. JEKYLL, or the enjoyable PSYCHO permutation SCREAM OF FEAR. Also included in the 2-disc set are THE GORGON and the merely passable Hammer film THE CURSE OF THE MUMMY’S TOMB. Special features are limited to theatrical trailers, but each film is presented in an anamorphically enhanced widescreen version for the first time in the U.S. I’ll take multiple widescreen films over supplemental material any day. 4. IRON MAN (Paramount): I cannot say I’m a big fan of the superhero genre; heretofore my two faves were UNBREAKABLE and THE INCREDIBLES. But IRON MAN is as good as any film of this type that preceded it, especially alongside such modern catastrophes as SUPERMAN RETURNS and the crummy X-MEN films. If anything comes along to trump IRON MAN’s surprisingly intelligent screenplay and spot-on performances anytime soon—well—let’s face it, that just isn’t likely to happen (count me among the few who found THE DARK KNIGHT to be a bit overrated). IRON MAN on Blu-ray delivers a particularly potent demonstration of the format’s potential, along with the expected amount of supplemental material (a lot). 5. FORGETTING SARAH MARSHALL (Universal): I seldom laugh much at mainstream comedies, but no other film this past year made me laugh to the extent of FORGETTING SARAH MARSHALL. As a fan of VERONICA MARS, it’s always good to see Kristen Bell (aside from Kiyoshi Kurosawa remakes), even though Mila Kunis and Russell Brand effectively steal the show. I’m still no Judd Apatow fan; I truly hated PINEAPPLE EXPRESS—probably the worst film I saw theatrically this past year. But FORGETTING SARAH MARSHALL is undeniably funny and well worth repeat viewings. It’s available in various DVD incarnations, including a loaded 3-disc DVD, as well as a Blu-ray disc. HIGH AND LOW (7/22/2008), THE ORPHANAGE (4/22/2008), THE STRANGERS (10/21/2008), THE KING OF KONG: A FISTFUL OF QUARTERS (1/29/2008), ENCOUNTERS AT THE END OF THE WORLD (11/18/2008). The flood of great and rare cinema being made available for home viewing continued unabated in 2008. Indeed, it is now hardly possible to keep up with every worthwhile release: I haven't yet purchased Artificial Eye's HISTOIRE(S) DU CINEMA, while my pile of unwatched discs has now hit the ceiling, and contains films by Visconti, Dreyer, Melville, Naruse, Resnais and Shepitko. The following must therefore be seen as less a definitive list than a casual guide to DVDs which were of personal importance. 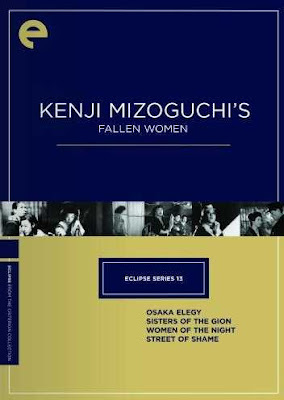 1- KENJI MIZOGUCHI box sets (Masters of Cinema and Eclipse): Masters of Cinema released many sublime films last year, including masterpieces by Lang, Pialat, Antonioni and Murnau. Perhaps the finest were those contained in their four Mizoguchi double-billl discs, which, along with Eclipse's FALLEN WOMEN collection, finally provided some long overdue DVD exposure for one of the greatest directors of all time. Now if only somebody would release an English-subtitled transfer of THE LOVE OF SUMAKO THE ACTRESS. 2- MARCO FERRERI COLLECTION (Koch Lorber): Another great director whose reputation has suffered from his work's lack of availability, Marco Ferreri seemed an unlikely candidate for the box set treatment. Koch Lorber's very welcome 8-disc collection (which includes an excellent documentary) contains a mixture of Ferreri's better known films (LA GRANDE BOUFFE, TALES OF ORDINARY MADNESS) and rarities such as EL COCHECITO and THE SEED OF MAN. The set's highlight is the rarely seen uncut 113-minute version of the remarkable BYE BYE MONKEY, running 19 minutes longer than Image's disc, which eliminated the character played by William Berger (still uncredited here). 3- MIKLOS JANCSCO (Second Run): Second Run is another UK-based company releasing films for love rather than profit. Recent highlights include Miklós Jancsó's THE ROUND UP, THE RED AND THE WHITE and MY WAY HOME, all of which are accompanied by episodes of the director's documentary series MESSAGE OF STONES. Second Run's tireless founder Mehelli Modhi even brought Jancsó to London to help promote these discs: meeting him was among the most memorable events of 2008. 4- TWO-LANE BLACKTOP (Criterion) and TRAPPED ASHES (Lionsgate): It's been almost two decades since the words "Directed by Monte Hellman" last appeared on our screens, so seeing them five times in one year certainly suggested things were looking up. Four of these directorial efforts consist of documentaries made by Hellman for Criterion's splendid TWO-LANE BLACKTOP disc, which also includes some fascinating screen tests and a new commentary track, as well as a flawless transfer of the film. The fifth is "Stanley's Girlfriend," part of Dennis Bartok's anthology TRAPPED ASHES. The version of this sublime short (a more perfect 27 minutes is difficult to imagine) found in the actual film has been damagingly shortened and reworked, but Hellman's original cut, shown separately at Cannes, is included on Lionsgate's Region 1 disc as an extra. 5- THE FLOCK (High Fliers): The image has been cropped to 1.85, there are no extras, and, quite frankly, the film isn't even that good. But the totally unexpected appearance of Andrew Lau's much revised and reshot (by Niels Mueller) US debut in a director's cut released straight to DVD by a minor UK distributor was certainly cause for celebration. High Fliers didn't bother to boast (and probably didn't even know) about the restored status of their transfer, but any resemblance between this version and the producer's cut (a Region 1 disc of which is available from Genius, whose packaging includes a still from a scene that only appears in the Region 2 edition) is purely coincidental. A comparison of the two variants testifies eloquently to the difference between a film made by a filmmaker and a film made by a committee. Our “best of” choices are presented in no particular order. Two of our choices are the Blu-ray editions of the films, although the same material is available in SD DVD as well. For long-standing fans of the Planet of the Apes series such as ourselves, this is the definitive set to have of this series—finally! 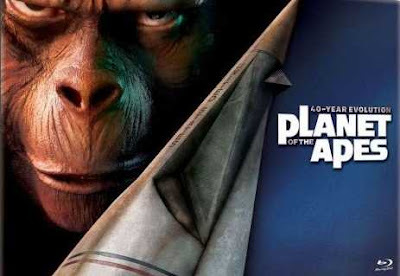 Besides the HD image quality, both theatrical and director’s cuts of CONQUEST OF THE PLANET OF THE APES and BATTLE FOR THE PLANET OF THE APES are included, as well as many hours of exclusive supplements. The set also includes a hardcover book of exclusive photos and other materials. THE INVADERS: THE FIRST SEASON (Paramount 4-DVD set): Although short-lived, the Quinn Martin produced series THE INVADERS (1967-68)—about the Cassandra-like David Vincent vainly trying to warn the world of an invasion by aliens from outer space—is vintage television at its (paranoid) best. We long looked forward to this series appearing on Region 1 DVD (season two is to appear on Region 1 DVD in late January 2009), and we were not disappointed by the presentation of the series in this excellent box set. Not only does the set include the unedited, never-aired version of the pilot (“Beachhead”), but there are new introductions to each episode provided by Roy Thinnes as well as other supplements. What’s more, the transfers are excellent. DAVID LYNCH: THE LIME GREEN SET (Absurda): This 10-DVD set is an absolute must-have for fans of Lynch’s work, or those wishing for an extended introduction. The LIME GREEN SET includes 1) ERASERHEAD; 2) the (remastered) ERASERHEAD soundtrack; 3) THE SHORT FILMS OF DAVID LYNCH; 4) THE ELEPHANT MAN, presented here with a new audio mix approved by David Lynch and interesting new supplements; 5) THE ELEPHANT MAN EXTRAS, which includes a documentary plus new interviews with David Lynch and John Hurt; 6) BLUE VELVET with a new Lynch-approved DD 5.1 mix exclusive to this set; 7) WILD AT HEART (identical to the 2005 MGM Sp. Ed. ); 8) DVD debut of INDUSTRIAL SYMPHONY No. 1, presented in 4:3 standard as well as 16:9 anamorphic WS; 9) DUMBLAND; Disc 10 is the highly anticipated “Mystery DVD,” which includes roughly three dozen deleted scenes from WILD AT HEART, episodes of OUT YONDER; 4 episodes of RABBITS, and several short clips transferred from 16mm material from the late 60s while Lynch was still in Philadelphia, the “Twin Peaks Festival Greeting” (a short film Lynch recently made for the Twin Peaks Festival), and many other rare pieces. Additionally, the box comes with a 30-page booklet of stills with many rare photos. BECKET (MPI Blu-ray): BECKET, starring Peter O’Toole as King Henry II and Richard Burton as Thomas à Becket, is one of our all-time favorite films, a grand historical epic about two old friends who become enemies. It was the martyred Thomas Becket, after all, that prompted Chaucer’s entourage in THE CANTERBURY TALES to undertake their pilgrimage to Canterbury, where the shrine to Becket is located. MPI’s BD issue of the restored print is simply outstanding. We’re delighted to be able to retire our roughly twenty-years old (standard transfer) laser disc. WHITE DOG (Criterion): We met the inimical Sam Fuller at the 1981 Telluride Film Festival, by which time the filming of WHITE DOG had been completed, but we have waited the twenty-seven years since that weekend to see this film. For us this release was the biggest revelation of the year. We had no idea what to expect, but we were more than impressed by WHITE DOG, one of the final films of the famed auteur.